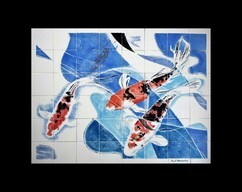 Hand painted ceramic tile mural backsplash. 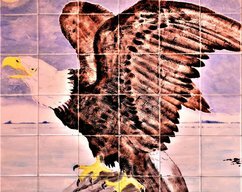 Our original tile murals are not factory produced "fake handmade art". 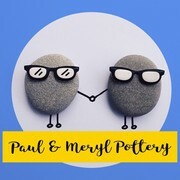 We are husband and wife artists, producing our own bespoke ceramic art. 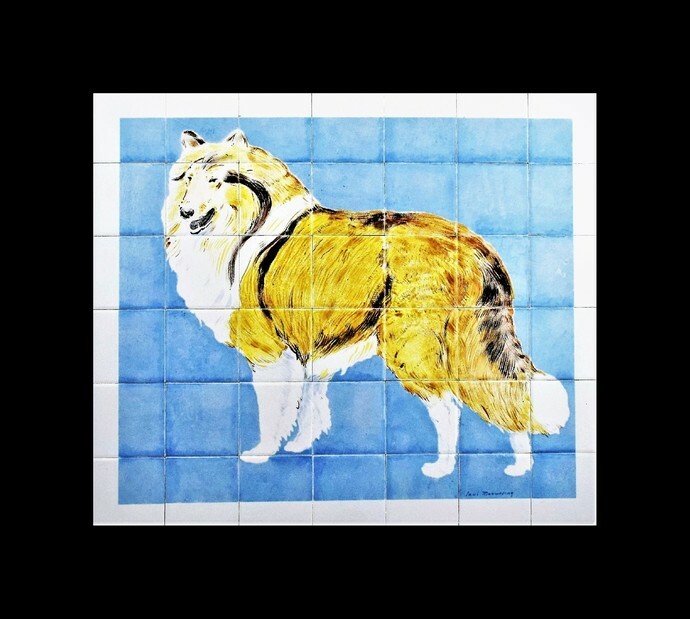 We've tried to capture the personality and colours of the rough collie and set it against a beautiful and vivid pastel blue background with a white border. Wipe clean as you would with any glazed ceramic. 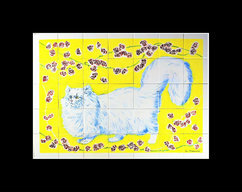 Each tile is individually bubble wrapped and then the mural is shipped in a double box with lots of polystyrene pellets. Once the design is finished, it's then ready for firing. We fire at a very high temperature for 8hrs to produce a permanent gloss finish. The kiln then has to cool down for 8hrs. 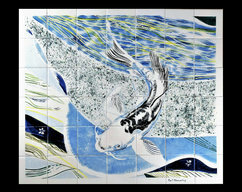 The finished tile murals are then water proof, extremely durable and of course heat resistant.